I had my doubts about Illamasqua Noble. "Do I really need another blue" I asked myself. And the answer is YES, it's such a vibrant bright blue, I have no regret buying it. Fantastic formula, as usual with Illamasqua polishes. 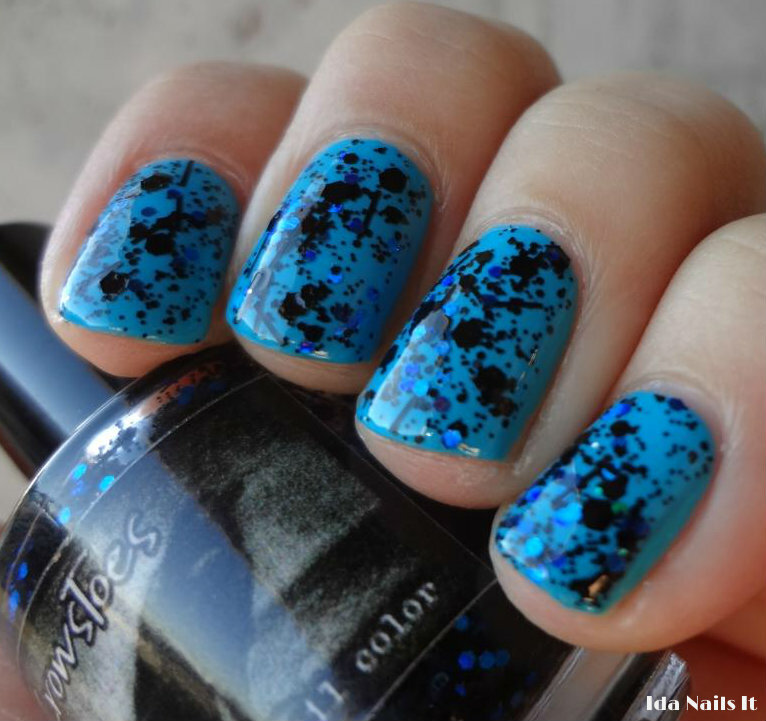 CrowsToes Tangled Web is a black and blue duochrome glitter mix in a clear base. 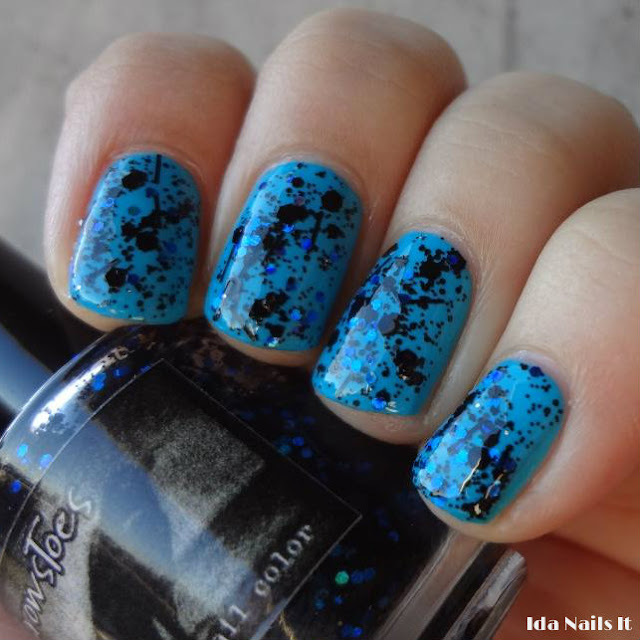 Perfect polish to be layered over Noble. Illamasqua Noble can be purchased at Sephora. CrowsToes Tangled Web can be purchased at Overall Beauty and Llarowe.